Labor is one of the most thought about times in a womans life, so it makes sense to create a birth plan for it. Having a comprehensive birth plan is one of the most effective things you can do to ensure that you get the birth that you want. A birth plan is a document that outlines exactly what you want to happen, or not happen, in labor. Your labor plan can be as simple as a discussion of your preferences with your partner and your midwife or doctor. OR it can be an elaborate, multi-page document that you sign and give out to everyone at your birth. What you choose to do, and where you choose to sit within that continuum is up to you. You do need to remember that you can’t control every aspect of labor and delivery, and you’ll need to stay flexible in case something comes up that requires your birth team to depart from your plan. However, a printed document gives you a place to make your preferences clear. Why are Birth Plans Important? A birth plan reminds your OBGYN or midwife at the time what you have discussed, as these professionals manage many different women at the same time, it is easy for the details that you have been obsessing over for months, simply to slip out of their minds. Going through our birth plan template will allow you to think through all your birthing options, and give you time to do your own research into all the options that are available. Discussing your labor plan with your midwife or doctor will also give you a chance to see what their views are on different labor options. The earlier that you discuss these options with your health professional, the better. If you discover that you have fundamental differences in approaches to labor, it is NEVER too late to ask for someone else to assist in the delivery. It is your body and your choice, if you choose to refuse a treatment (that includes a c-section), that is entirely your choice. You just have to make your plans clear. No. A birth plan is not a requirement of going in to labor. However, you do need a rough idea at least of what your wishes are for you while you are in labor. Many people choose not to create a birth plan, preferring instead to decide between options as choices arrive. Only in the case of a rare emergency would anything be done without prior explanation. 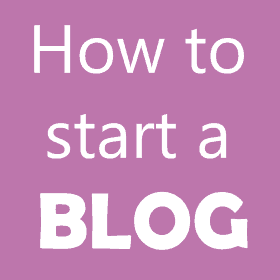 If you choose this route, the key is ensuring that you understand these explanations. This is why it is a great idea to attend childbirth education classes prior to your labor and birth. 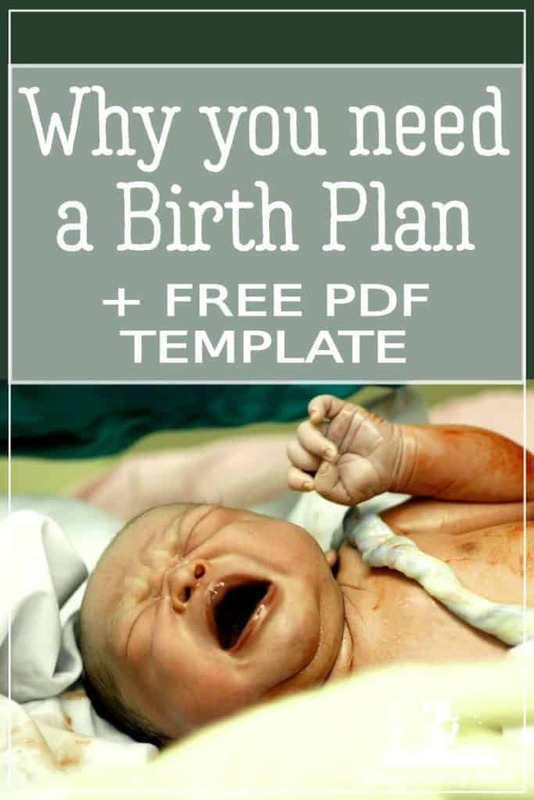 Birth plan templates all vary, but the basics should all be there. Where do you want to labor – home, a birthing center or in a hospital? Each of these have different benefits and different things to consider. I have had a home birth for baby number 3, and I LOVED it, but for baby number one I was too terrified to even consider it. Obviously if you are planing of having a c-section, you must be in hospital, the same if you are planning on having an epidural for pain relief. Women who birth at home have the lowest rate of intervention. A birth center comes somewhere in between the two other options. You get to chose who is and isn’t in the room while you labor. Some hospitals have limits to the number of people who are in the labor room, if you are at home, you can have a party if you like. Just remember that you want the atmosphere to be calm and supportive, and your support people should not get in the way of yourself or your midwife/doctor. The most common choices for labor partners are your husband/partner and your mother. A doula is another fantastic option as a support person. She is a professional that specializes in supporting women in labor, this leaves your partner to support you emotionally. How long to you want to labor at home? How much warning does your midwife, doctor, birthing center or hospital need before you arrive? At what stage will you know you need to go to the hospital, birth center or fill up your birthing pool at home? There are little things that you can do to set the mood for your labor and delivery. The entire aim is to relax and calm the mother during labor. A calm labor is a smooth labor. When a woman is calm and relaxed, her birthing hormones can work effectively, resulting in less pain, less complications, and a shorter labor. You can choose to reduce the lighting, play your favorite music, have aromatherapy or have all health professionals out of the room. Generally once you get to the hospital, they “do not let you eat”. This is a throw-back from way-back, where if you need emergency surgery, you risk vomiting and ending up with vomit in your lungs when they place your breathing tube. These days they have cuffed ET tubes that they can use, they just need to know that they need to do so. However, hospitals have not changed their policies to match and you may have a hard time arguing this. If you want to eat and drink during labor to keep your strength up, you need to discuss this with your doctor ahead of time. The choices of pain relief in labor are vast, and beyond what we can cover here. 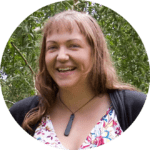 For in depth details about pain relief you need to talk to your midwife/OBGYN and do an in depth antenatal class, my friend Hilary has an amazing and affordable online class. Natural pain relief options include water/birthing pool, heat packs, ice packs, movement, massage, TENS machines, breathing, acupuncture, acupressure and hypnosis. Personally I loved using the hypnobabies program, and a birthing pool. If you have been told that you have B group strep, most hospitals will give you routine antibiotics. There is a lot of debate about the effectiveness of this policy, and there are natural treatment protocols that you may prefer to follow. B group strep is a transient condition, you may test positive at week 36 and not have it at birth, OR you may test negative at week 36 and actually have it at the birth. The risk of being positive of group B strep is that if your baby ends up with this infection in their lungs, they can end up very unwell. But then using antibiotics can kill of your natural biome, and affect the bacteria that you baby’s gut gets populated with, which can have long term health effects. To give birth squatting, lying, in the pool, kneeling etc. Often in hospitals they like your labor to progress at a certain speed. If you are not progressing at the rate that they like you to, they will often ‘augment’ or speed up your labor with medication (Pitocin/Syntocinon). This is given through a drip, and they prefer you to have an epidural so they can continue to increase the strength of your contractions without you complaining about the pain they will be causing. Augmentation of your labor increases your risk of c-section significantly as the stronger contractions often send baby into distress. You can choose what position you would like to push in, and you can use a mirror to see baby crown. Your midwife, partner, or yourself, can catch the baby. You can choose whether you would like to be directed on how to push, choose to go with your natural urge, or try and relax and “breathe baby out”. Do you want an episiotomy(cut), if so when? Only as a last resort, not at all, or just if tearing is starting to occur. Just because you are having a c-section, does not mean you do not get to make a birth plan. There are many options for having a c-section, that can often be catered to. Do you want to see the birth? You can ask them to drop the curtain as baby is born. For baby’s gut biome, you can opt for a vaginal swab to be applied to baby to ensure all the normal bacteria are introduced to baby. You can ask for delayed cord clamping, and you can have skin to skin snuggles while they stitch you up. If it is an arranged c-section, you can choose between an epidural, or a spinal anesthetic. You need to discuss these choices with your doctor and anesthetist. Once baby is here, who will hold her? Will you aim for skin to skin immediately, do you want your partner to hold baby, do you want the cord cut immediately, or would you prefer to delay cord cutting? Do you want baby to be routinely suctioned, or only if she is struggling to clear it herself? What about birthing the placenta? Do you want a shot and some assistance to pass it quickly to get it over with, or would you prefer to leave nature to do her thing? The first breastfeed can happen immediately after birth, or would you rather wait until after the stitching and cleaning? Do you want your baby to be immunized and given a vitamin K shot, and if so, when? Do you want your baby taken away and examined, or would you prefer it to be done on the bed beside you. If you need stitches, where will baby be? If you need an emergency c-section, or baby needs to go to NICU, who does your partner stay with, you or baby? If your baby goes to NICU, what are your feelings on formula feeds? Do you want your family contacted immediately, or would you prefer a few hours just as a little family before the visitors arrive? Sometimes a woman’s choices are limited by pre-existing condition, such as diabetes, pre-eclampsia or a previous birth problem, for example a Caesarean section. Many individual wishes can still be taken into account, but your safety and that of your baby are paramount so you may sometimes be advised against certain choices. Remember to discuss your wishes with your midwives and doctors – they may not be able to give you the choices you want, but they may be able to help you understand the option they are offering you.